In 2015 I created the LoveAgain Doll Rescue Project because it broke my heart every time I would go to a thrift store and see all the discarded dolls. (Yes – I realize this doesn’t happen to everybody). But it got me thinking. Suddenly an idea sparked, and I was on fire with excitement. After much trial and error (think over 200 various kinds of dolls in boxes all over my house!) 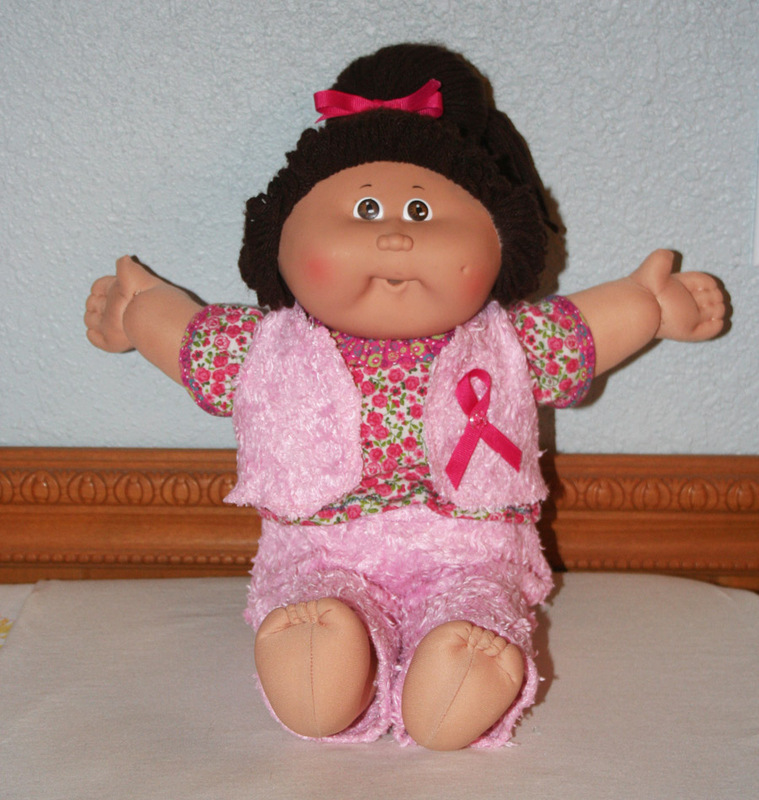 I came to realize that Cabbage Patch Kid dolls are perfect for a donation project. Why? because they are arguably the most durable, lovable and comforting dolls in the world. 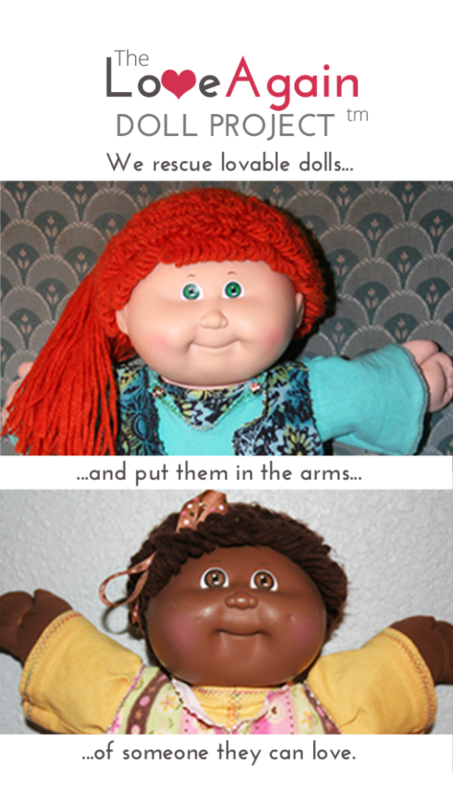 Cabbage Patch dolls were MADE for hugging! 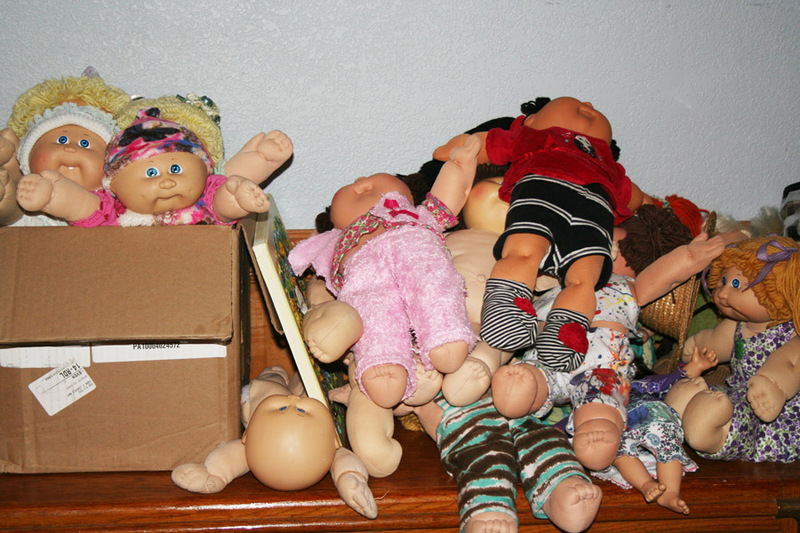 I began to up-cycle the Cabbage Patch Kid dolls and donating them to local women’s shelters. Soon friends and family were finding old dolls in thrift stores or their closets and bringing them to me for some “up-loving”. To keep supporters updated about the progress of the project I created a Facebook group and began posting pictures of the reconditioned dolls. Soon I started receiving parcels and boxes from all over the United States – some from as far away as Canada – filled with Cabbage Patch Kid dolls that people were generously donating to the project. I was truly amazed and humbled! Today I love showing LoveAgain Doll Rescue Project volunteers how to find, bathe, repair, and make or find outfits for Cabbage Patch Kid dolls and reaching out to women’s shelters. Our work has expanded to creating therapy dolls for people in nursing homes. While Cabbage Patch dolls are still our main “Kids on the block” we also work with all kinds of baby dolls, My Child, re-borns, Heritage Mint, 18 inch dolls and more. The LoveAgain Doll Rescue Project is simply a network of wonderful people who care about keeping lovable dolls out of the landfill and putting them in the arms of people who need a hug. Do you love to rescue discarded dolls? Do you have a project or mission that you are passionate about? Let me know by commenting below. P.S. 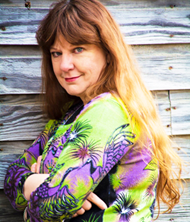 Join the conversation on Facebook about the LoveAgain Doll Project.